If Western children has Christmas, Vietnamese children wait a whole year for Full Moon Festival to receive gifts, have fun with parents, watch music shows, enjoy party in full moon with their friends and family,… Those are common activities during Full Moon Festival in Vietnam. However, some children cannot enjoy those simple activities0 because of their hard lives. They have to support their family to earn money for living and spend time studying n charity class. They do not have chance to enjoy a normal Full Moon Festival. 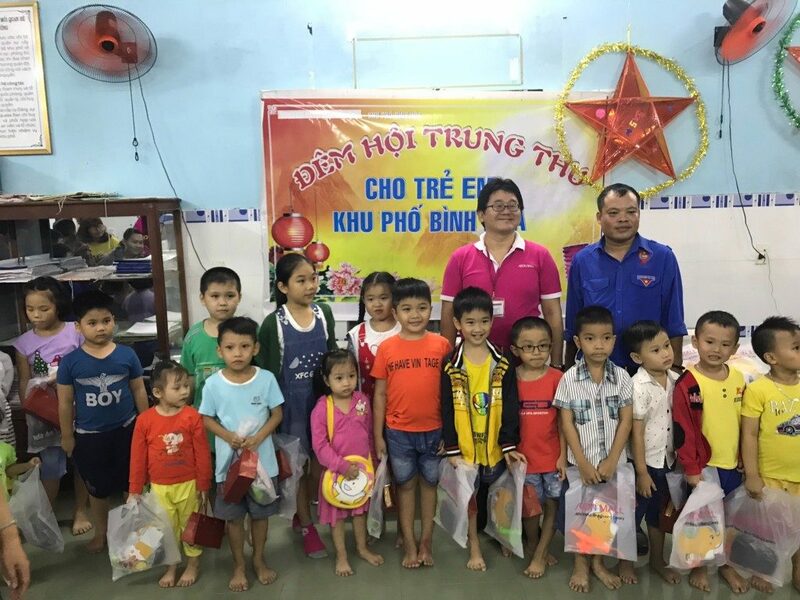 There were 200 gift packs sent to children in charity class in Thuan An, Binh Duong on 24th September 2018. Each gift pack includes lantern, moon cake and bag from sponsors: Luxe Dai Phat & An Thanh Honda. With this activity, AEON MALL Binh Duong Canary and sponsors wish to bring a memorable memory to all children and share the difficulties with them. Opening in 2014, AEON MALL Binh Duong Canary is committed to implementing the “Customer First” principle based on the basic business philosophy of AEON Group “Pursuing peace, respecting humanity, and contributing to local communities, always with the customer’s point of view as it core”. AEON MALL Binh Duong Canary will never stop developing, bringing meaningful activities to the community and customers.